It’s a hot summer, and getting hydrated is important to keep up with your sightseeing. You are thirsty, and you wander what would be the best summer drinks to order. After all, each country has its own traditions and habits. 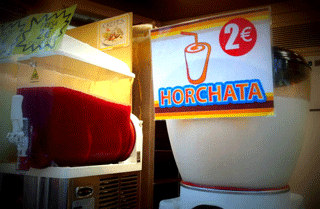 This is why today I want to share with you what are Spain’s favorite summer drinks. I’ve given you the names both in Catalan and Spanish. Unlike the Mexican version that is made with rice, the real Valencian orxata is made with a small tuber called tiger nut (“xufles”). Spaniards can’t get enough of this white drink that might look like milk but tastes totally different. 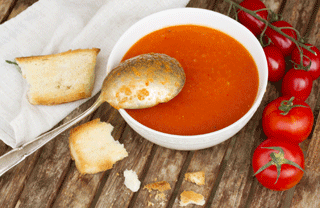 You need to get used to the flavor, but once you do, you’ll be wanting it every day! Plus it is a quite healthy summer drink as it only incorporates tiger nuts, water, sugar and cinnamon (please avoid the industrial bottled ones from supermarkets: find an artisan ice cream parlor where they make it themselves!). These summer fruit drinks served with crushed ice are similar to slushes, and they usually come in orange or lemon flavors, although sometimes you can also find coffee and strawberry. In Barcelona, if you order a “Canario”, you’ll get a glass that is half orxata and half a lemon granitzat (but it is possible that in other areas of Spain they call it differently). Since they are non alcoholic drinks, they are also perfect summer drinks for kids. Let’s go for the summer alcoholic drinks now. Did you think that Spaniards drank sangria all year around? Big mistake! It’s rather one of those refreshing summer drinks that you’d occasionally order in a jar to share while you eat tapas or a paella with friends or during a party, but it’s not an everyday choice. And if you order it in the winter, everyone will spot you are a tourist, by the way! The Spanish version of a shandy (beer with lemonade) is instead one of the best summer drinks to order and look like an insider. While beer is one of the most commonly ordered alcoholic beverages, in the summer many people will calm their thirst with claras instead. Some local beer brands sell bottled claras (name might change, though), and they are quite decent. AND BONUS! There is a way to order coffee in the summer, too! Nope, you won’t find in Spain ice tea (unless it’s canned Nestea) nor iced coffee – Spaniards have their own alternative to such refreshing summer drinks: café con hielo. 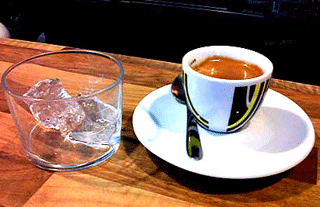 You’ll be served a slightly long espresso and a separate glass with one or two ice cubs. Add sugar to your coffee if you need it, then pour the coffee over the ice cubs. Voilà! You are ready to enjoy your coffee with ice. 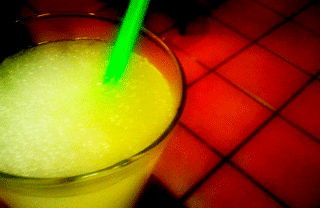 By the way, you can get more ideas for refreshing summer drinks and tips to beat the heat here. So what about you? Go to the comments and tell us what are the best summer drinks you’ve ever had!